3 1/2 hours ex Bluff. Hut 6-8 bunks, good camp site. 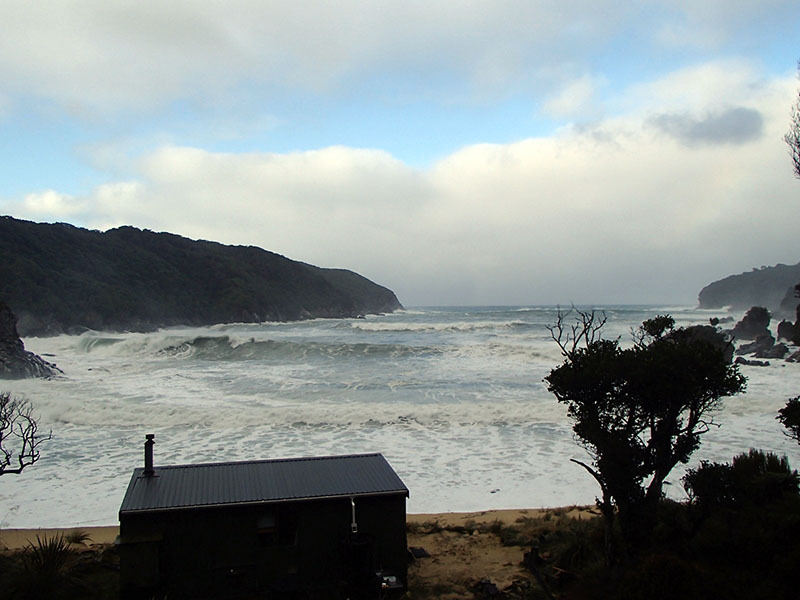 Huge storm at Big Kuri, Photo courtesy of Roy Dench. Huge storm at Big Kuri.